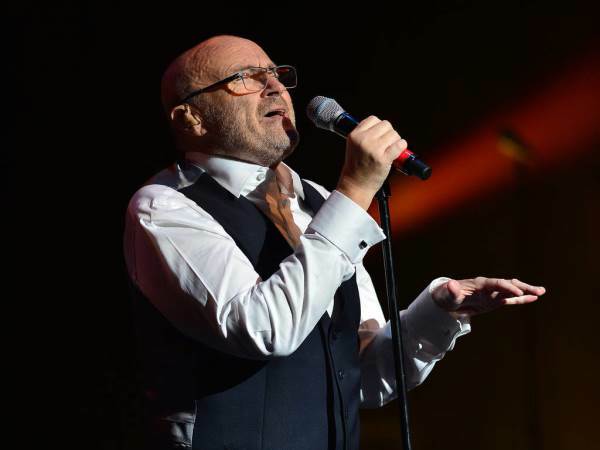 Veteran rocker Phil Collins is open to reuniting with his former Genesis bandmates after reliving the band's success in his new autobiography. The star joined Genesis in 1970 and became their frontman and drummer after the 1975 departure of singer Peter Gabriel. The group went on to achieve huge success worldwide before Collins quit in 1996 to focus on a solo career. He reunited with guitarist Mike Rutherford and keyboardist Tony Banks in 2007 for a one-off tour, before Phil retired from music in 2011, revealing nerve damage had robbed him of the ability to play the drums. During his time away from the spotlight, Phil began writing his book, Not Dead Yet: The Memoir, and he reveals recalling all of the good times he had with his old bandmates was a reminder of their great chemistry in the studio. "Doing the book, I was reminded just what good friends we are," he told Prog magazine when asked about a possible reunion. "What I will say is that I consider what we had was pretty special. "That the three of us would come in with nothing - there wasn't just one or two writers - we'd all three come in with nothing and we'd start playing until something happened. We'd record it and come back to it a few weeks later and from there songs would develop. That is pretty special, to have a relationship with guys that can do that. So I wouldn't rule it (a reunion) out." However, Phil, who has not toured in 10 years, insists any possible Genesis get-together wouldn't be anytime soon as he is easing himself back into the live circuit with a series of comeback gigs next year. "I just don't want to suddenly take the brake off, start flying off and doing things," he continued. "I want to do things carefully and think about the consequences." Phil will return to the road for a string of dates in London, Paris, France, and Cologne, Germany next summer). He will be joined onstage by his son Nicholas on drums, taking over where his father left off.